In this article we will present you coolers made by Cordova manufacturer. Users affirm that these coolers brand is the most outstanding one among many others that also offer rotationally-molded high-end coolers for purchasing. Let’s clarify if it is true and consider all advantages and disadvantages of this coolers brand. The first thought that may occur while reading about these coolers is that they are the same as other rotationally-molded high-end options available nowadays, but we recommend you to watch this video-Cordova vs Yeti comparison to understand all the differences and peculiarities of these coolers line. The brand Cordova is not such world famous as Yeti or Engel coolers brands because it has appeared at the world market only in 2016. This brand was created by three guys that couldn’t find the cooler which ideally corresponded all their requests and decided to create their own ideal cooler. 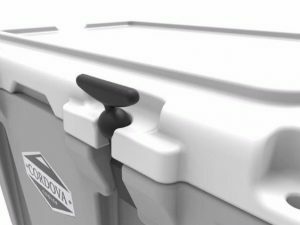 Or rather their own line of coolers with such outstanding features as the toughest handles in comparison with all other options available today, around fifty percent better duration of the ice retention period and the ecologically-friendly high-density foam used for the best insulation. It was a short preview to Cordova coolers characteristics and in the next paragraph you will be able to take a closer look on them. Meet new and unique Cordova coolers! The first thing that interests readers is price, so we decided to start from the price tag of some Cordova options. You are able to check the current price of different-sized options (large, medium and small capacity) and to compare it with the similar options made by Yeti manufacturer. What can be seen immediately from the table presented above is that the representatives of Cordova brand are more expensive than Yeti coolers, which were considered as the most expensive ones nowadays. 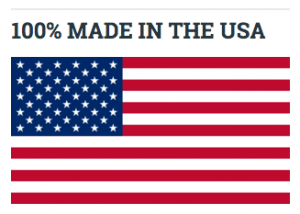 So, yes, Cordova coolers are expensive and it is fully explained by their quality. Thus if you are looking for cheaper options and can sacrifice some of these characteristics in order to save your budget, we highly recommend you to search somewhere else. But if you are ready to pay good money for the good features- welcome to our review. The manufacturer of the Cordova Coolers proudly claims that the cooler chosen from this line will be the last cooler in you r life and you under no circumstances will not want to change it for something else. Because of such confidence manufacturer offers the lifetime warranty for all Cordova coolers and allow you to fix any breaks of your cooler absolutely free. All coolers breaks will be fully covered by the warranty. Such type of warranty is very unusual to coolers and among other well known brands only Orca coolers can offer lifetime warranty to users. If you trust the local manufacturers and want to purchase their high-quality products, such feature of Cordova coolers will please you a lot. 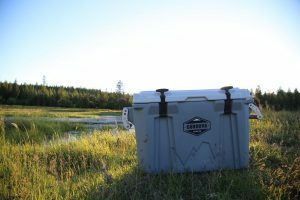 All coolers from Cordova lineup are one hundred percent made in the USA unlike options made by such brands as Engel or Yeti. We have already mentioned about ecologically-friendly foam that Cordova coolers manufacturers use for the insulation. It is a great feature for those people who take care about environment and try to use environmentally-friendly and at the same time high-quality products. The Cordova coolers manufacturers claim that their products can boast of the highest insulation level in comparison with other rotationally-molded options. They said that all representatives of their line can provide users with up to fifty percent better insulation. Actually because these coolers are comparably new, there are no videos or tests that are able to prove this fact, so we can’t say with the one hundred percent confidence that it is true. We don’t have reasons to doubt in this fact because these coolers are equipped with the three inches of the high-density special foam that it is one inch more than Yeti or other brands have. 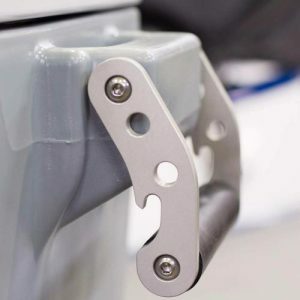 We called this paragraph “the unique latches” because unlike usual latches that are used in other options the Cordova Coolers latches should be pulled up instead of pulling them down. It is more convenient because you don’t have to bend down to your cooler every time you want to open it. 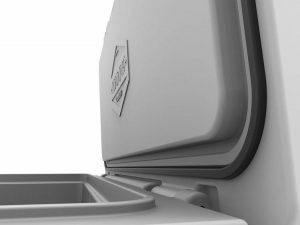 Latches of Cordova Coolers are made of the tough rubber and can keep the coolers lid tightly closed. Convenience and durability at the same time. Finally we got to the main pride of Cordova coolers- to their famous unique handles. It has been already mentioned at the beginning of our article that these coolers can boast of the toughest handles in comparison with other high-end coolers options. The handles of this lineup are made of the durable aluminum unlike plastic or made of the nylon rope handles of other coolers. Beside the incredibly high durability these handles will also add your cooler the unique cool look. In addition to this, they are equipped with the openers for bottles that is the very useful accessory if you go camping for example and don’t have such staff with you. Do Cordova Coolers worth buying? Taking into account all advantages and disadvantages it shouldn’t be said surely whether these guys worth buying or not. It’s up to you, because at the one hand you are able to purchase the more famous options like Yeti or Pelican coolers which have the same price tag (and even cheaper), but their quality is proven over the years. At the same time at another hand it is always good to try something new with the cool design and good characteristics. 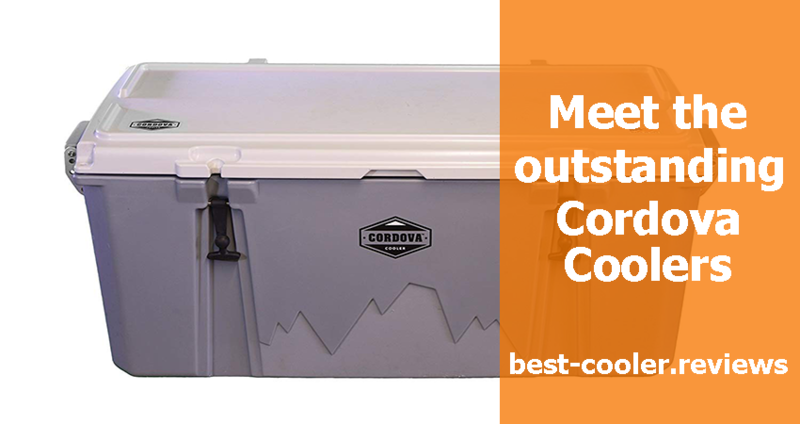 Cordova coolers have good characteristics and some unique features such as aluminum handles and unusual latches. This choice is completely yours and you should decide whether you are ready to risk and try or you should rather choose something proven. Which decision you will take is right because it is yours.